Completely self-contained and totally private, this open plan studio unit is the ideal place to stay during your next stop in Taupo. 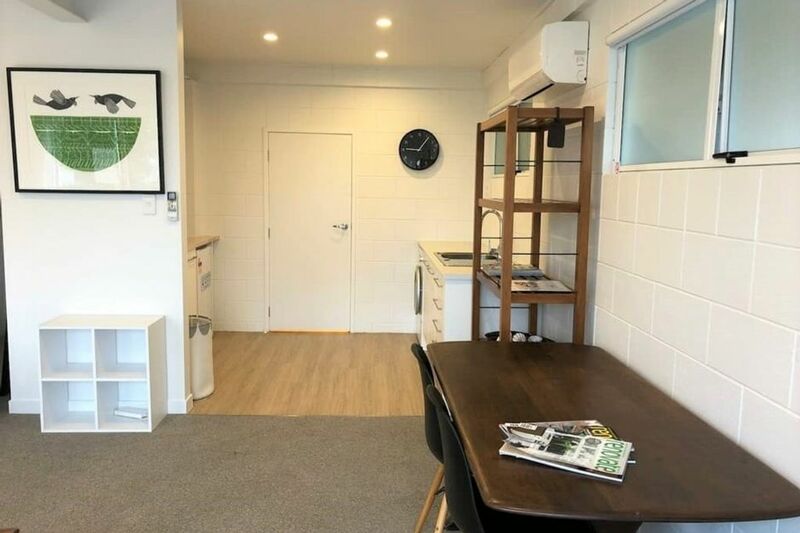 This unit can sleep up to 3 guests and is within walking distance of the river, lake, supermarket, bakery, restaurants, cafes and the popular Taupo markets held on Saturdays. There is a quiet tenant in the upstairs part of the house although this has it's own entrance and does not share any amenities with the downstairs unit. This property has a spacious kitchenette which offers a microwave, toaster, electric kettle, toasted sandwich maker, large electric fry pan and dual electric hot plate. So although there is no oven, it has everything you need to cook a meal. This is also very close to many different restaurants and takeaways. The kitchenette has no cooking facilities. It does have a microwave, toaster, electric kettle, toasted sandwich maker, large electric fry pan and dual electric hot plate.